InsideTheBoards is a medical education company dedicated to improving the wellness and performance of medical professionals around the world. Our podcasts and studying tools allow users to learn to dissect questions like a question writer so that they can study smarter - not harder. The ITB App gives users access to our podcasts, the Audio Question Bank, and other tools so users can study on-the-go. 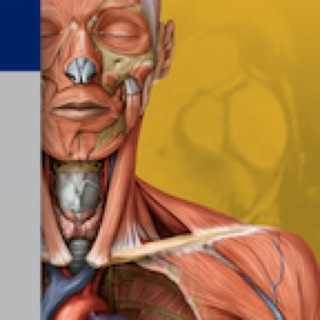 • Monthly, Quarterly and Yearly subscriptions for unlocking all audio questions for Step 1 (powered by Lecturio and Osmosis) and Step 2 (powered by OnlineMedEd). • This is a subscription based service which will be auto renewed according to the selected package i.e the user will be automatically charged from the iTunes account. • The prices of the subscriptions are $29.99 for Monthly, $69.99 for Quarterly and $199.99 for Yearly subscription. • Any unused portion of a free trial period, if offered, will be forfeited when the user purchases a subscription to that. Wow. Studying for STEP 1. The app layout is pretty basic, and I wish it integrated with my Apple Watch. But that being said, this is the most helpful app for studying on the go I’ve ever seen. I’ve only been using it a day and I’ve already get like I reviewed so much while I was driving to and from class and working out. Usually I just listen to lectures during that time. This is waaaay better. Please add Apple Watch integration. Otherwise, your app is PERFECT. 😍 Thank you! Possibly the best question prep for med school I have found. Every med school student should be aware of the details discussed. Never used the meditation part but I guess it’s a cool thing to have. I have been listening to the podcast for around a year now in my down time and the insights are fantastic into question answering. Seriously considering extending my subscription for another year! I’m a 2004 medical school grad who’s been working as a stay-at-home mom for the last 13 years. I have been listening to podcasts to refresh my memory as I prepare myself for residency. I listen to a wide variety of podcasts, but ITB has helped me more than any other. I’m so grateful to them!